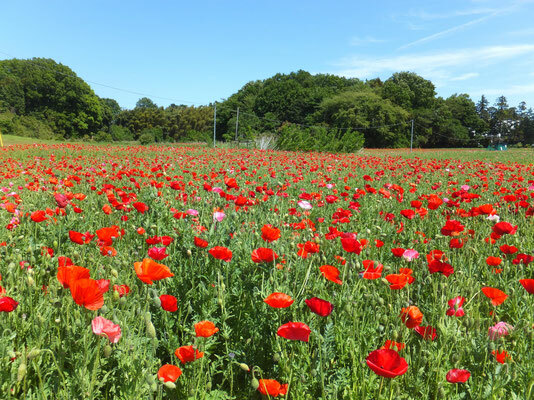 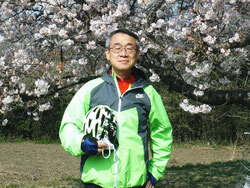 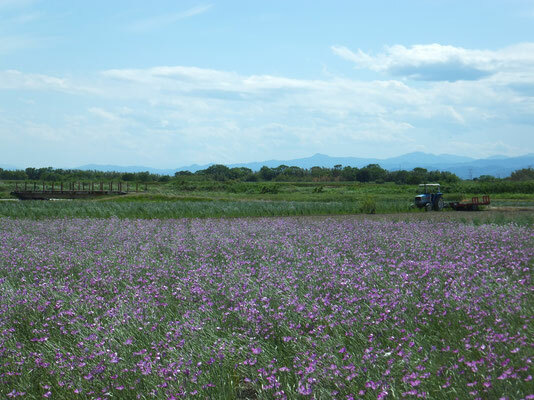 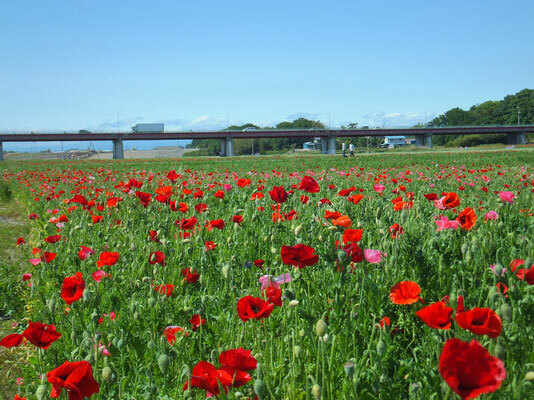 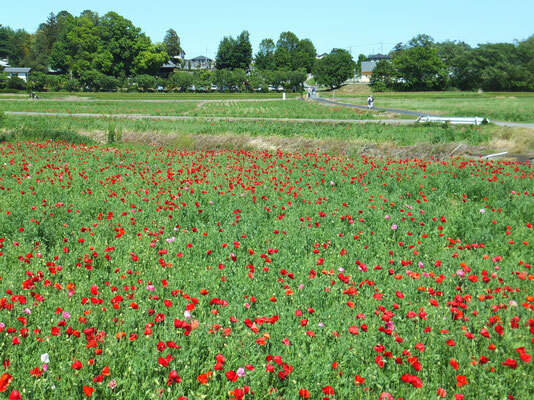 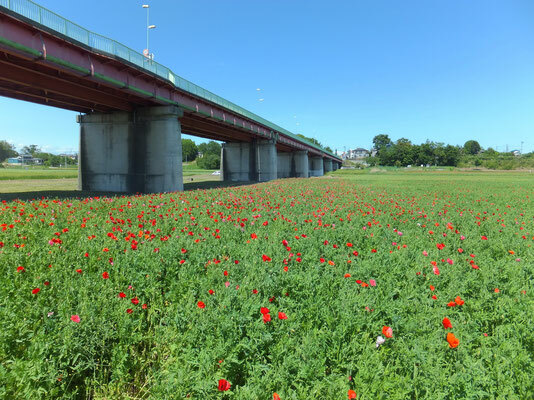 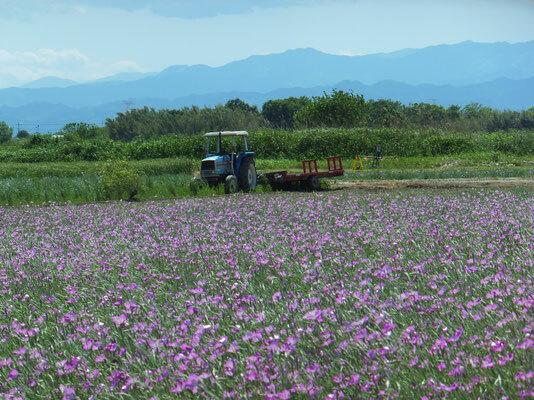 On river terrace of Arakawa River in Konosu City, poppy is now flowering. 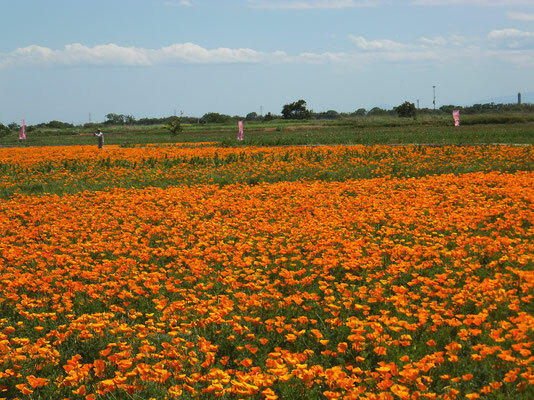 Red, pink, and white color ones are called Shirley Poppy and orange color one is called California Poppy. 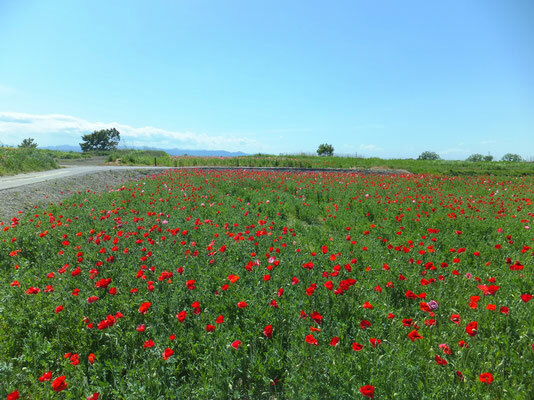 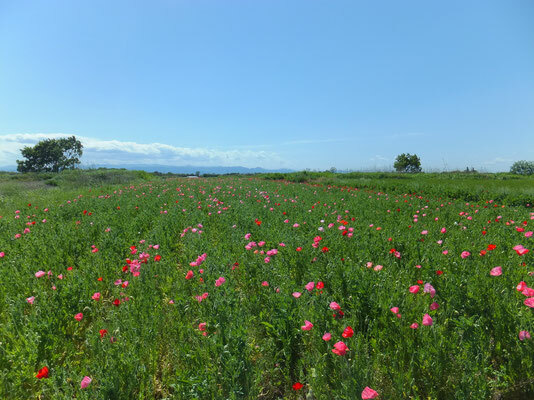 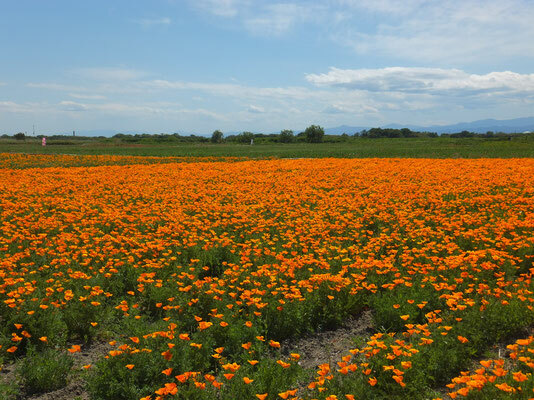 Flowering season of the poppies is mid- May to early June. 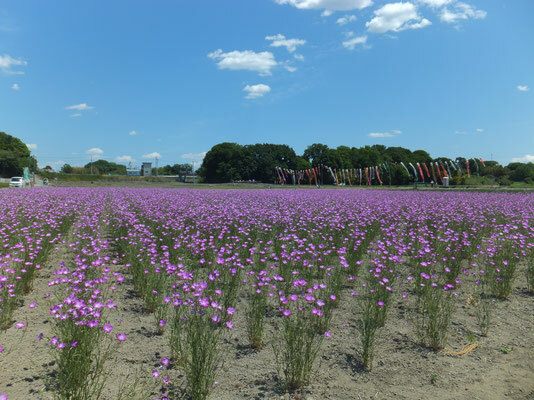 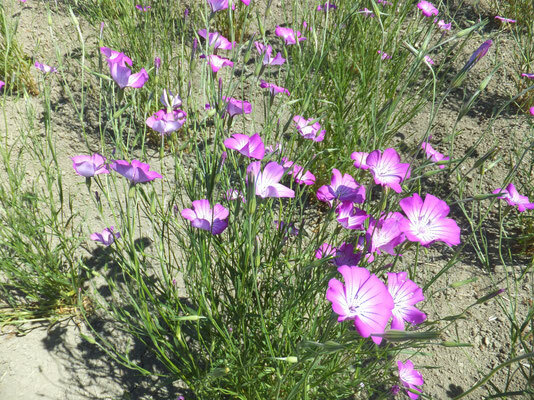 Just next to poppy field, another flower, Purple Cockle is in flowring season now.